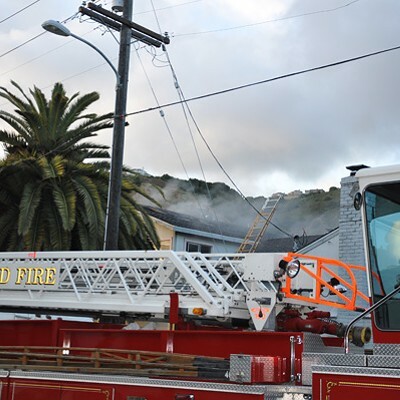 The Oakland Fire Department logged seven residential pot farm fires last year — roughly double the average for 2008 and 2009. There's an old saying among stoners: "Nobody has ever died from an overdose of smoking pot." But the way things are going in Oakland, it's just a matter of time before someone dies from growing it. And there'll be hell to pay if it's a firefighter. That reality became harshly apparent last week in West Oakland at a hulking warehouse on Chestnut Street, near I-580. The air was filled with the stench of burnt chemicals, fiberglass, and wood, and there was the unmistakable smell of three hundred to five hundred pot plants that had gone up in smoke that morning. It took eighteen firefighters to get the March 2 conflagration under control. 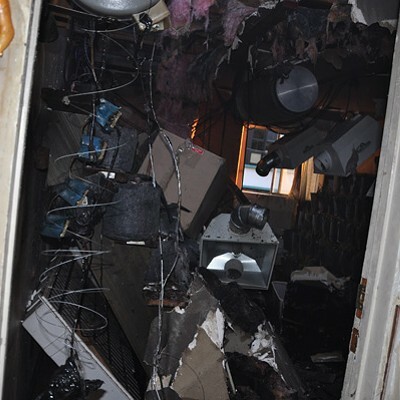 Later, after the firefighters had extinguished the blaze and gone back to their firehouses, an Oakland police officer watched a lone fire inspector pick through piles of burned-up junk, grow lights, insulation, and the wood used to barricade the front door. The mess had grown soggy on the curb next to a fetid motor home and dog and human excrement. Inside the farm it was pitch-black, except for charred lighting equipment. It wasn't clear what started the fire, and the building's landlord wouldn't talk to this reporter — perhaps because of what else was inside the warehouse. A local tow truck driver on scene said he goes to the building every Wednesday for police auctions of cars towed in the city. Next door to the illegal pot farm, twenty cars sat in the dark, apparently waiting to be auctioned off. Oakland's illegal pot farming is so rampant that it has infected nearly every corner of the city. 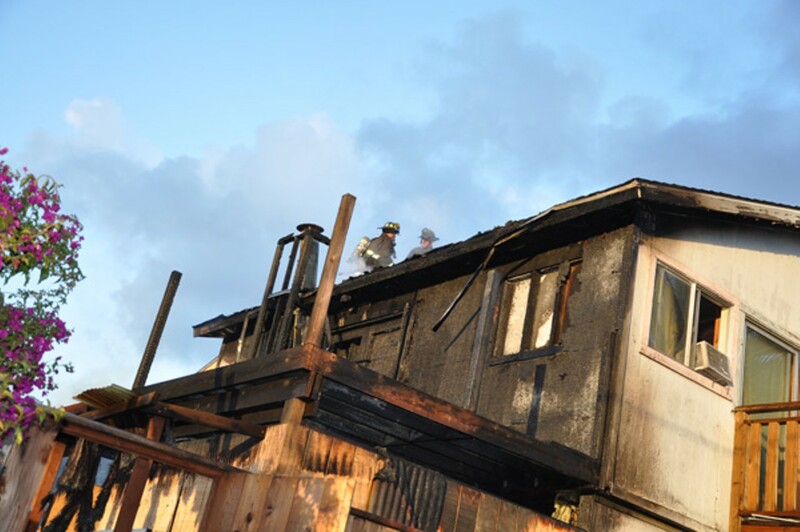 It's also at least the second pot farm fire in Oakland this year. 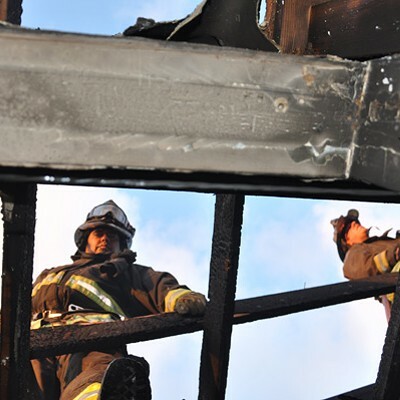 At this rate, 2011 might be busier than last year for Oakland firefighters. 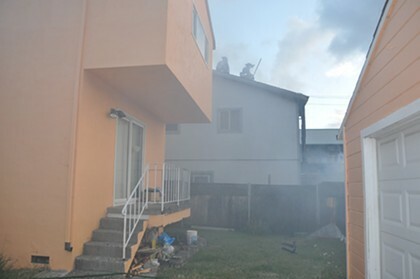 The department logged seven pot farm fires in homes and apartments in 2010 — roughly double the average for 2008 and 2009. 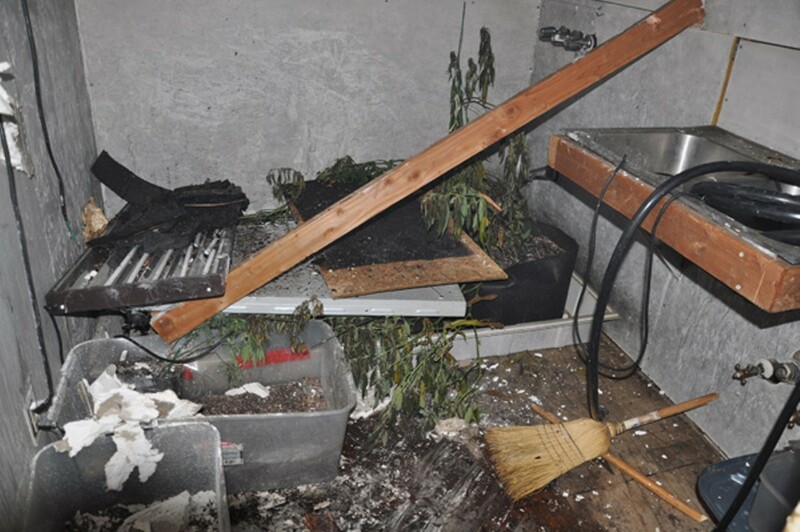 Thankfully, no one has gotten physically injured in a pot farm fire. At least not yet. But that's not to say that the hundreds, perhaps thousands, of unregulated small- and medium-size grows haven't harmed anyone, because they have. Although 2010 stats are not yet available, Oakland police report that for the years 2008 and 2009 combined, there were eight robberies, seven burglaries, and two homicides related to cannabis cultivation. And that doesn't include all the crimes involving grows in which no one wants to talk to the cops, let alone fill out a police report. The public health and safety issues don't stop there. The pot that makes it to market from these unregulated grows is sometimes contaminated with pesticides, molds, and fungi, according to local medical cannabis lab Steep Hill. The lab routinely tests pot coming into Harborside Health Center, the biggest dispensary in the West, and about 5 percent of the weed has tested positive for unacceptable levels of bacteria under federal health guidelines. 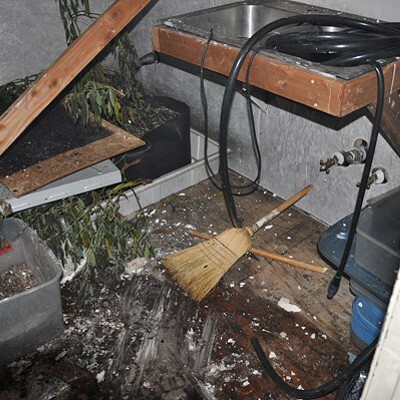 Landlords also have learned the hard way that growers destroy property, leaving behind gutted homes with holes in the floors and ceilings and mold damage on the walls. 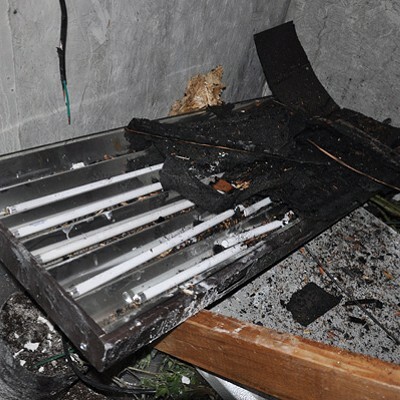 Unsafe, jerry-rigged wiring often is to blame for fires. 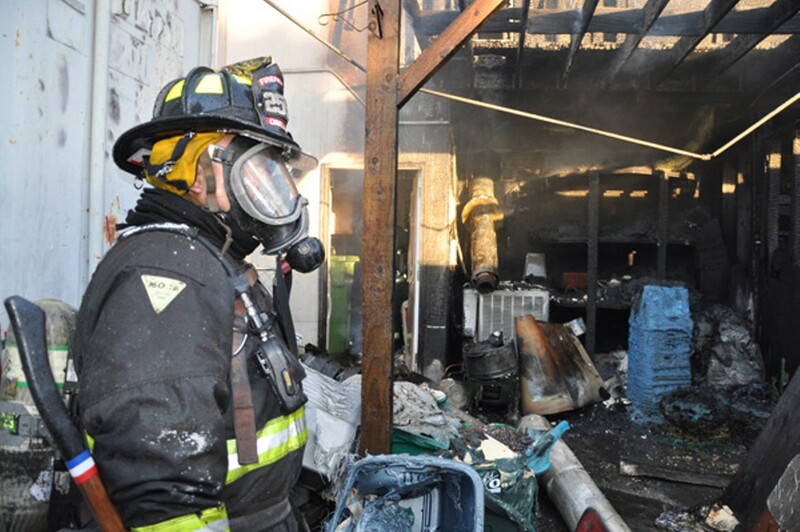 Oakland Fire Battalion Chief Adrian Sheppard has been to so many pot farm fires in his career, he said: "Dear Lord, I couldn't even give a number on that. It's substantial." 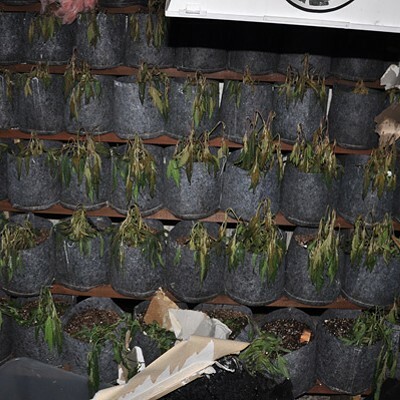 Fire officials and weed brokers also say the number of indoor farms — which can range from a single 1,000-watt light in a closet in an Oakland apartment to 150 lights in a warehouse in the flats — is astounding. Oakland's four medical cannabis dispensaries sold some $28 million of pot in 2009, representing roughly 6,000 pounds of marijuana, which could occupy roughly 45,000 square feet of cultivation space. And that doesn't account for all the pot sold on the black market in Oakland. 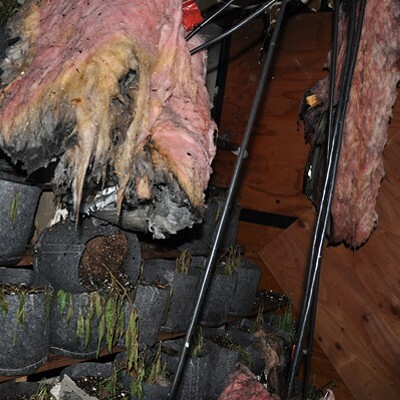 Of course, not all indoor farms are dangerous; some growers take great care to be safe. 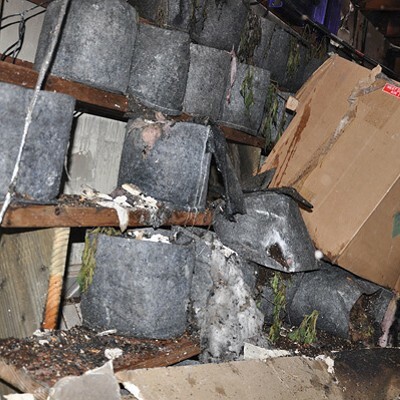 But the explosive growth of small, illegal, and extremely hazardous grow houses was one of the driving forces behind the Oakland City Council's decision last summer to permit four industrial-size pot farms. City officials reasoned that bringing the grows out of the shadows and consolidating them into large, legal facilities, and then taxing and regulating them, would greatly limit fires and other hazards. The council, however, has endured intense blowback over its plan. City Attorney John Russo, Alameda County District Attorney Nancy O'Malley, and US Attorney Melinda Haag all concluded that the council's proposal was illegal. Russo has refused to represent the council as it tries to hammer out a new plan. But lost in all the intense media coverage of Oakland's controversial pot farm ordinance is this undeniable fact: The current system of small- and medium-size grows is just as illegal as the proposal for large pot farms, maybe even more so, and yet Russo, O'Malley, and Haag seem to have nothing to say about that. Worse, the current system is a powder keg waiting to explode. And while the Oakland council awaits word from new lawyers on a way forward, the problem continues to grow. The rapid rise of indoor marijuana farms can be traced to the 1980s, when the Reagan administration launched the Campaign Against Marijuana Planting, or CAMP. The program sent government-funded helicopters and cops to backwoods farms in the Emerald Triangle, the famed Northern California pot-growing region that includes Humboldt and Mendocino counties. 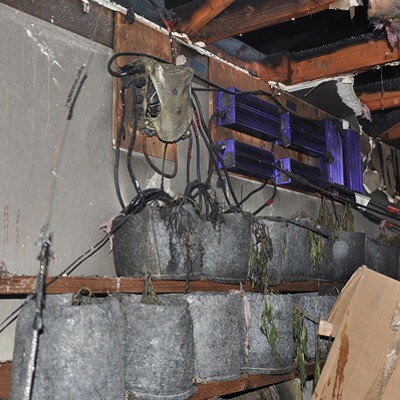 The yearly CAMP raids helped push growers indoors, oftentimes into sheds or underground. Diesel generators sometimes power the indoor grows there to create so-called Diesel Dope, as Humboldt blogger Kym Kemp calls it.